April 24, 2019 +41 61 331 0893 info@one-group.org one-group is your premier moving and relocation organization with first-class services throughout Europe. Relocation services or “employee relocation” involves the relocation of people to another country. Employees that move to another country are called expatriates or international assignees. Relocation services include a range of internal business processes such as visa application, orientation, home finding or school search to ensure an easy transfer of employees, their families, or entire departments of a business to a new work location. one-group specializes in relocations to Europe. one-group’s range of relocation services are transparent, yet flexible in their delivery to accommodate the specific requirements and customs of each country. Moving services include the move and storage of goods, furniture, art or pets to a new location. one-group provides a comprehensive solution to all your moving challenges via air, sea and road transport. In addition to international, intra European and domestic moving, office moves and specialist “white glove” services are carried out by our professional teams of packers across Europe. Our customer support staff co-ordinate your removal and are trained to provide move management services worldwide. All one-group partners can also help with pet transportation and domestic assistance such as property cleaning, electrical or plumbing work and maid service. If you are moving to Europe or internationally, contact us. 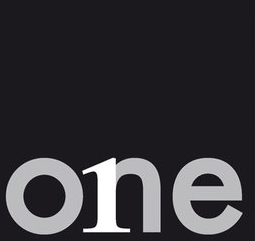 one-group is the premier pan-European relocation and moving solution that was established to meet the needs of the international community by consistently delivering first-class services throughout Europe. one-group and its partners have all important company certificates (FAIM, ISO or EURA Quality Seal) and memberships (EURA, ERC, FIDI, IAM) and in addition employ GMS or ERQ certified staff in each country. To keep it simple for you our one-group head-office in Switzerland is your point of contact for any questions you may have regarding relocations and moves to, from or within Europe. What can we do for you?